BRIDGETOWN, Barbados, Jun. 23, CMC – Secretary General of the Caribbean Community (CARICOM), Ambassador Irwin LaRocque has welcomed newly appointed Prime mInister of Barbados, Mia Mottley to the 15 member regional body. On Friday, LaRocque, met with the Prime Minister to update her as lead Head of the CARICOM Single Market and Economy (CSME) and to discuss key agenda items for the upcoming Heads of Government Conference in Jamaica. Congratulating the Prime Minister on her “resounding victory” at the May 24 General Election, LaRocque said the region was at a very important juncture in its history and said that he was “looking forward to working with her very closely to furthering the regional agenda”. 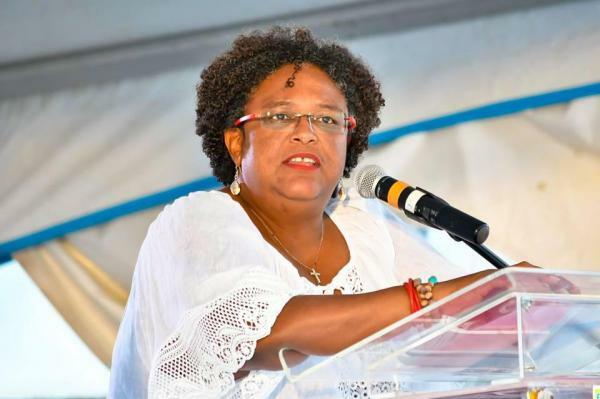 As a newly-elected Head of Government, Mottley will deliver a keynote address at next month’s 39th Regular Meeting of the Conference of Heads of Government of the Caribbean Community, which gets under way in the western city of Montego Bay from July 4 to 6.